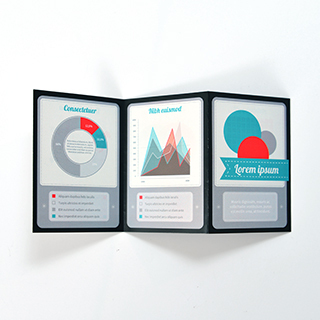 Explain the rules and instructions to your card game in a custom z-fold instructions booklet. This booklet opens up in a ‘Z’ shape and holds 6 sides. 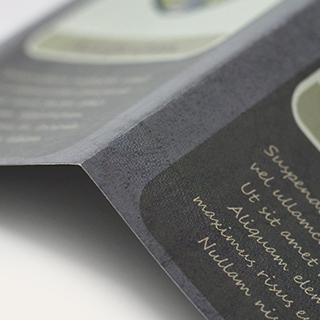 Your artwork will be printed in full color onto 128gsm art paper with a water varnish finishing for a professional touch. 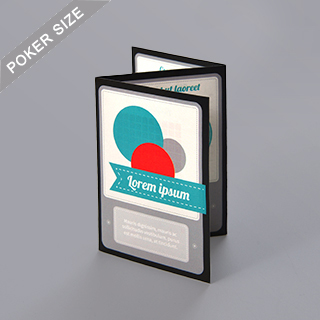 This z-fold instructions guide is perfect when matched with a deck of poker size cards and poker size card game box to complete your custom card game. We have no minimum and worldwide delivery.